Q: What does ENVIS stands for? A: ENVIS is a decentralized system with a network of distributed subject oriented centers ensuring integration of national efforts in environmental information collection, collation, storage, retrieval and dissemination to all concerned. The focus of ENVIS since inception has been on providing environmental information to decision makers, policy planners, scientists and engineers, research workers, etc. all over the country. Q: What is the total number of ENVIS centres? A: There are total 68 ENVIS Centres all over India, which are assigned with different subjects and topics. Q: Where can we get details of other Envis centres? Q: Why is there a need for a Coastal Regulation Zone Notification, 2011? • The 1991 Notification stipulated uniform regulations for the entire Indian coastline which includes 5500 Km coastline of the mainland and 2000 Km of coastline of the islands of Andaman & Nicobar and Lakshadweep. It, therefore, failed to take into account that the Indian coastline is highly diverse in terms of biodiversity, hydrodynamic conditions, demographic patterns, natural resources, geomorphological and geological features. • In the 1991 Notification, no clear procedure for obtaining CRZ clearance was laid down and no time lines stipulated. Furthermore, there was no format given for the submission of clearance applications. • It may be noted that the 1991 Notification, also did not provide a post clearance monitoring mechanism or a clear cut enforcement mechanism to check violations. • The 1991 Notification sought to regulate all developmental activities in the inter-tidal area and within 500 metres on the landward side. No concrete steps were indicated in the 1991 Notification with regard to the pollution emanating from land based activities. • The restrictive nature of the 1991 Notification caused hardships to the persons/ communities living in certain ecologically sensitive coastal stretches. These included slum dwellers and other persons living in dilapidated and unsafe buildings in Mumbai, communities living in islands in the backwaters of Kerala, local communities living along the coast of Goa and other traditional coastal inhabitants. Q: What are the objectives of the Coastal Regulation Zone Notification, 2011? • To promote development in a sustainable manner based on scientific principles, taking into account the dangers of natural hazards in the coastal areas and sea level rise due to global warming. Q: What are the new provisions contained in the 2011 Notification to benefit the fisher-folk community? A: Since the fishing communities traditionally live in the coastal areas, they have been given primary importance when drafting the CRZ Notification 2011. • At several coastal stretches of the country the fi shermen and their dwelling units are in danger due to erosion which is occurring primarily due to manmade activities. The development of such manmade foreshore activities shall be regulated after identifying and demarcating the coast as falling in the high eroding category, the medium eroding category or the stable sites category. • While preparing the Coastal Zone Management Plans the infrastructures essential for fishing communities must be clearly demarcated and fishing Zones in the water bodies and the fish breeding areas shall also be clearly marked. • The 2011 Notification requires the Coastal Zone Management Authorities to invite comments on the draft Coastal Zone Management Plan from stakeholders. This will ensure that for the fi rst time, local communities including fishermen communities will have a say in the preparation of the CZMPs. • The Notification allows infrastructural facilities for the local fishing communities to be constructed in the CRZ-III area. • Reconstruction, repair works of dwelling units of local communities including fisheries in accordance with local Town and Country Planning Regulations has been made permissible. • In CRZ-III areas where 0-200 metres is a No Development Zone (NDZ), to meet The demands of dwelling units of traditional coastal communities including 8 fisher-folk, the NDZ has been reduced to 100 metres. Hence, dwelling units of such communities can be constructed 100-200 metres from High Tide Line along the seafront with the approval of the State Government and the MoEF. Q: Which are the Ramsar Sites in Gujarat? 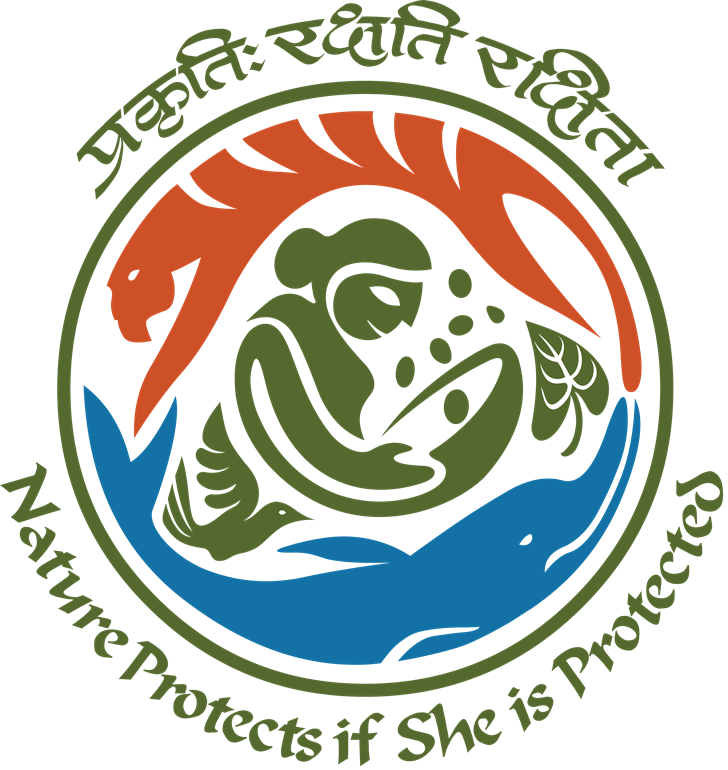 Q: Which are the biosphere reserves in Gujarat? Q: What is the costline length of Gujarat state? Q: How many sanctuaries and National park in Gujarat? A: The Indian State Level Basic Environment Information Database (ISBEID) is a web enabled software developed by the Ministry of Environment and Forests, Government of India under the Environmental Information System (ENVIS) Project. The software is to enable the State ENVIS Centre’s on Status of Environment and Related Issues to feed data directly into the database server using the web-interface in the ENVIS Portal. Q: How have the coastal zones been classiﬁed under the 2011 Notiﬁcation? A: In the 1991 Notification the CRZ area was classified as CRZ-I (ecological sensitive), CRZ-II (built-up area), CRZ-III (Rural area) and CRZ-IV (water area). In the 2011 Notification the above classification is retained. The only change is the inclusion pf CRZ-IV, which includes the water areas up to the territorial waters and the tidal-influenced water bodies. For the very first time, a separate draft Island Protection Zone Notification has been issued for protection of the islands of Andaman & Nicobar and Lakshadweep under Environment (Protection) Act, 1986. Q: What are the coastal areas that qualify as falling within the CRZ-I category?